The first thing you need to do when you want to install Draco WordPress theme is to login to your site admin page. Once there, go to Appearance > Themes. Draco are listed in the official themes directory. 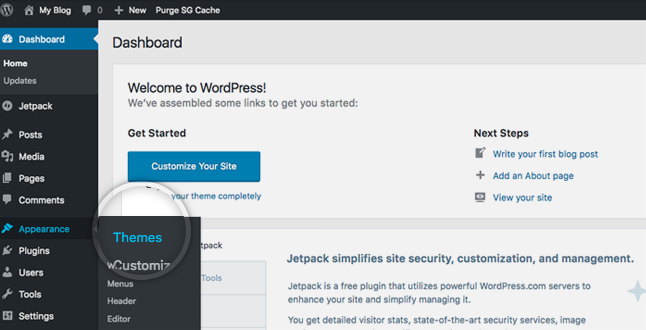 This allows you to search for the theme directly from your site admin page, you can simply search for it. 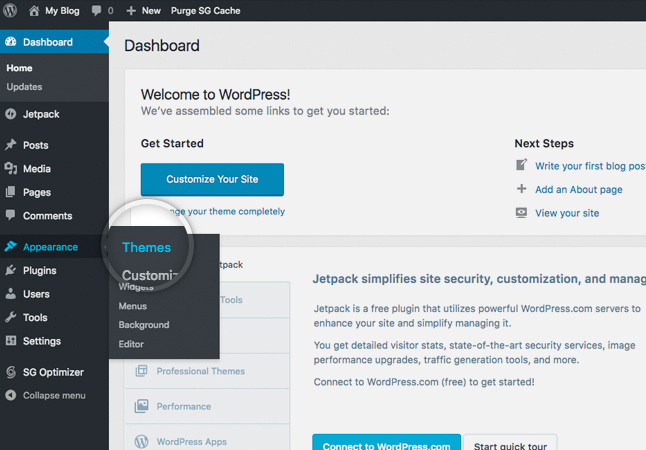 To start customizing your WordPress theme, first go to Appearance > Themes page. On this page, locate the Draco theme and click on the Customize button next to its title. On the page that opens, you can modify your Draco theme in real time. On the left you will see a list of the available options and on the right a live preview of your site and how those changes will affect it. Description of the theme configuration options. Edit Logo, icon, title and description. Set a menu in “Top menu” location. Set widgets in “Right sidebar”. Pages do not have sidebar. Choose what’s displayed on the homepage of your site. Select the header images by default for the homepage, the categories, the pages, the post and the search engine. 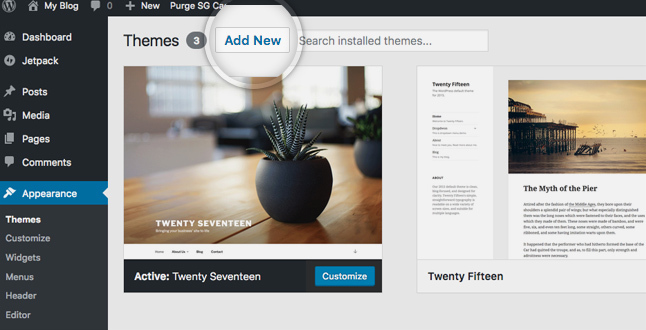 From the customizer of the theme you can choose the images of the header that will appear by default in the home, files, pages, post or the search engine. To choose a specific header image for a page or post use “Set featured image” when you edit the page or post.